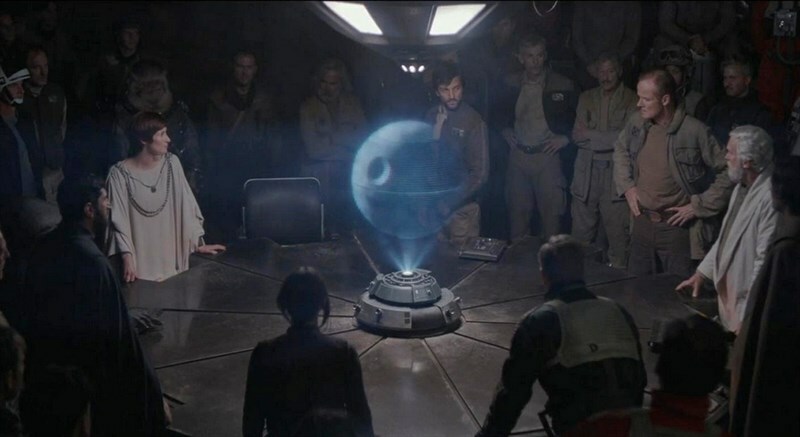 In recent weeks, as the Rogue One hype train reached full speed, a new comment from Gareth Edwards made certain longtime Star Wars fans take notice—in a short featurette for the film, Edwards stated that while the thrust of the film is the theft of the Death Star plans, “through [the heroes’] journey, we see the formation of the Rebel Alliance”. While he could very well have intended “formation” in a metaphorical sense, characters learning to work together and all that, fans wouldn’t be fans if they didn’t at least suspect that he might have been speaking literally—meaning the film will show us the official consolidation of the various lowercase-R rebel cells into the capital-R Rebel Alliance. While Star Wars Rebels has laid much groundwork for this already, it hasn’t yet depicted such an event, so while Rogue One is situated almost three years after the most recent episodes, it’s entirely possible that a formal Alliance won’t exist until then, implying that when A New Hope begins the organization is only weeks, or even days, old. That would jive well with the most literal interpretation (there’s that word again) of the opening crawl’s statement that stealing the plans is the Rebels’ “first victory”; indeed, the mere existence of a show like Rebels requires such a literal reading—the show wouldn’t last very long if the main characters never succeed at anything, so one must draw a distinction with the Ghost crew’s small, often pyrrhic, victories and the coordinated military victory we’ll soon witness in theaters. For the Rebel Alliance to form so late in the timeline is a deviation from the Legends version of events, but not as much of one as you might think—likewise, the continuing presence of Jedi within the organization on Rebels seems like a big deal, but it’s nothing us old Expanded Universe fans aren’t used to. So in anticipation of the new canon finally linking up the rebels and the Rebels (whether it happens in Rogue One or not), let’s take a look at how this went down the first time. 25. How and when did the Rebel Alliance officially come together? I’m going to do this one a little differently—rather than a sequence of occasionally-contradictory events, the Rebellion of the EU can be better understood as a set of nesting dolls, with a small core of sparse material repeatedly overlaid by later works that add greater depth while obscuring certain earlier details. One signature move of the earliest EU (by which I mean West End Games, mostly) was to take a film character and extrapolate an entire culture from that one person—call it the Greedo Effect. Humans weren’t spared from this either, though, and Han Solo being a Corellian naturally meant that Corellia came to be the Rebel Without a Cause planet. And thus, any study of the Rebellion’s earliest details should begin there. Garm Bel Iblis, Corellia’s senator at the end of the Old Republic, was said to be one of the earliest rabble rousers after Palpatine’s New Order was declared; such a rebel was Garm that he eventually rebelled from the Rebellion, fearing Mon Mothma was planning to become Emperor herself and therefore choosing, naturally, to leave her to her own devices. picture of Cantham House so deal with it. But as to those early years, details were sparse. A year after the Empire’s inception, Grand Moff Tarkin landed his ship on a group of civilian demonstrators (they were on his landing platform, what else was he going to do?) and killed hundreds; this Boston—ah, I mean Ghorman Massacre was one of the first big abuses of power by the Empire, or at least one of the most public, and in response recalcitrant senators, including Bail Organa and Mon Mothma, started getting together to air their concerns in a series of meetings at Cantham House on Coruscant. Coming from a planet with a cultural aversion to violence, Organa was particularly averse to active resistance, and was only convinced by the intervention of Corellian agent Bria Tharen, who in those days occupied something much like the “Fulcrum” role Ahsoka Tano created in canon. Despite the Jedi’s status as enemies of the Empire, at least one, Ylenic It’kla, managed to live safely on Alderaan within Organa’s coterie and serve as an adviser. This is especially interesting because one of the key throughlines across the various iterations of this story is Organa remaining in relative good standing within the Empire—necessitated, of course, by the pretense that his daughter is merely on a “diplomatic mission” at the start of ANH. Bel Iblis and Mothma weren’t so lucky. Both chose to speak out against Palpatine more forcefully, and both were eventually forced out of the senate and into hiding in the last few years before ANH. Eventually all three met again on Corellia and drafted a formal Declaration of Rebellion, as well as the Corellian Treaty, which spelled out their respective roles: Organa would be the man on the inside, providing intelligence and rerouting Imperial resources whenever possible, while Bel Iblis provided his military personnel and expertise and the serene, persuasive Mothma would be their public face (she was already a fugitive; why not?). The Treaty also formalized the shared use of their existing resources under a central command structure, which alongside forces of Sullustans, Duros, and Bothans—alien species that had seen the worst of the Empire—allowed for early successes like the procurement of X-wing fighters from the Incom Corporation and, a couple years later, the theft of the Death Star plans. Before the prequels came out, that was about all there was to know—but once they added crucial context to the Clone Wars and the birth of the New Order (spoiler: Bail Organa knows everything), the second nesting doll began to form. We learned that Bel Iblis, EU senator that he was, had withdrawn Corellia from the Republic altogether to avoid the taint of the Clone Wars (they ended up getting involved anyway). In response to still-Chancellor Palpatine’s ever-increasing war powers, in particular the Sector Governance Decree which created the Moffs, a Delegation of 2000 representatives formally voiced their concerns, giving Palpatine a handy to-do list after declaring himself Emperor.1 While she didn’t survive long enough to see her plan through, it was Padmé Amidala who proposed the strategy of remaining as close to the Emperor as possible while working against him in secret, going so far as to insist that Organa and Mothma vote for the New Order to show what “good little senators” they were. Oh, and remember that senator in Revenge of the Sith with the awesome beard and topknot? That’s Fang Zar from Sern Prime; think of him as Bel Iblis’s stand-in—“he was such a close friend of Garm Bel Iblis”, Anakin muses in the RotS novelization, “that the powerful Corellian senator might as well have been present in person.” See what they did there? While the Ghorman Massacre was neither revisited nor overwritten, another early overreach came with the Empire’s almost-immediate crackdown on Kashyyyk and rounding up of the Wookiees as slave labor, which similarly served to awaken many senators to just how bad things were becoming. Back on Naboo, inspired by Amidala’s friendship with the Jedi and misgivings about Palpatine, Queen Apailana offered safe haven to a number of Order 66 survivors until the rumors caught up with her and the 501st stormtrooper battalion assassinated her and brought Theed back into line. It wouldn’t do for the Emperor’s homeworld to seem disloyal, would it? One of those Jedi survivors was Ferus Olin, a former friend of Anakin’s who had been expelled from the Order in time to save his life. Olin formed a local resistance movement of his own called The Eleven (there were more of them than that, I promise) which didn’t last very long, and after surviving a series of dealings with Palpatine and Vader, he was tasked by Obi-Wan, with whom he’d kept in touch, to “retire” to Alderaan and keep an eye on Princess Leia—unlike the aforementioned Ylenic It’kla, he managed to survive not just the Dark Times but Alderaan’s destruction, though Vader finally caught back up with him a year later. The final layer to this story came in 2008 with the video game The Force Unleashed. 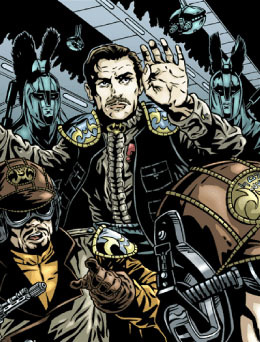 While maintaining the gist of the Corellian Treaty concept and even including Garm Bel Iblis, the game revealed that the unification of the scattered cells into a Rebel Alliance was part of a long con by the Sith to lure resistance leaders, including the still-ostensibly-loyal Bail Organa, into exposing themselves. Darth Vader tasked his secret apprentice, Galen Marek, to operate against the Empire himself for a time in order to gain the rebels’ trust. He went first to Rahm Kota, a militant Purge survivor he had previously fought and blinded, who led him to Organa, who summoned Bel Iblis and Mothma from hiding. 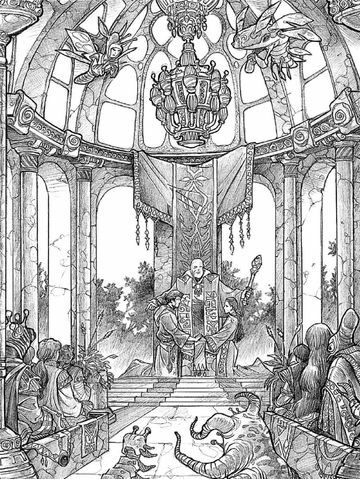 When they meet with Marek and Kota on Corellia and formally unite, the Empire promptly arrives and rounds them up. Vader confronts Marek, who already has reservations about his part in all this—he had been told that the plan was to incite an uprising so Vader could take advantage of the distraction and destroy Palpatine. “Not with you”, Vader explains, and throws him off a cliff. Marek survives, naturally, and rescues the Rebel leaders from captivity aboard the incomplete Death Star, giving his life in the process. This was the only real hiccup in TFU’s version of events; in earlier material Organa and Mothma don’t find out about the Death Star until much closer to ANH, and Organa himself was still a senator in good standing—while Leia is present in holographic form for the Corellian Treaty, she’s the only one whose reputation survives the meeting (but c’mon—her father was there!). While Mothma and Bel Iblis were already fugitives, it’s unclear what fallout Organa faces over the remaining two years until Alderaan is destroyed, especially since TFU’s story was never completed. What we do know is that per his appearance in another game, Rahm Kota survived and fought with the Alliance at least until ANH and possibly beyond. And that’s what I want to end on: Old Republic Jedi not only surviving the Purge but joining the Rebel Alliance are not a phenomenon that started with Kanan Jarrus. Kota was undoubtedly the most egregious example in Legends, but before him there was Ferus Olin, and before Olin there was Ylenic It’kla. It remains to be seen whether he or Ezra will stick around long enough to meet Luke Skywalker—and personally I doubt it—but it’d hardly be the first time.